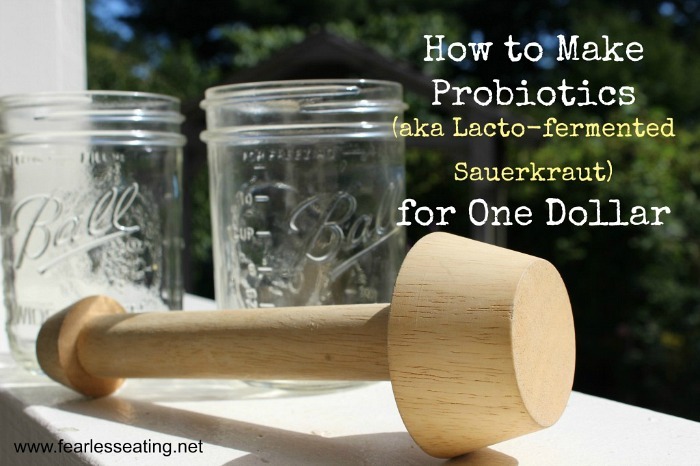 Did you know you can make probiotics at home for about one dollar? In this blog, I’m going to share a simple video demo for how to make probiotics. Of course, I’m not talking about pricey supplements. I’m talking about REAL lacto-fermented foods which are alive with naturally occurring probiotics. 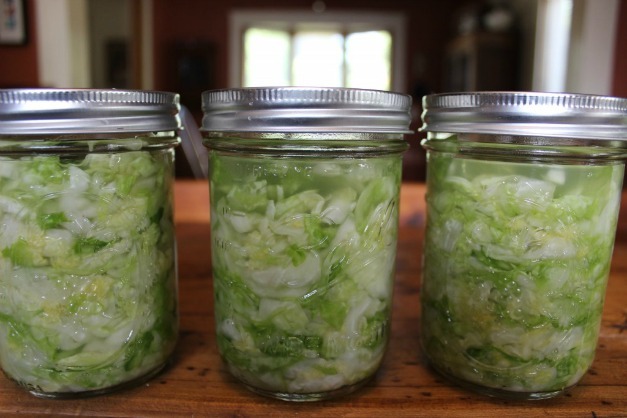 And lacto-fermented sauerkraut is one of the easiest lacto-fermented foods to make at home. However, I’d bet a thousand dollars you’re probably referring to canned sauerkraut. This is the sauerkraut most people are accustomed to eating and yes, it is totally gross. Seriously, I have no idea how anyone can stomach that stuff. Furthermore, canned sauerkraut is not REAL, lacto-fermented sauerkraut and therefore lacks any health benefits. And not only is it easy, it’s also ridiculously cheap. It’s common for a good quality bottle of probiotics to run over $40. Well you can make your own good quality, organic sauerkraut (which contains a greater diversity and amount of probiotics) at home for about $1 per jar. And in addition to the probiotics in the sauerkraut you also get actual nutrients like B vitamins, vitamin C, vitamin K, calcium, magnesium, iron and potassium. Well, when you learn to make your own sauerkraut (and other fermented vegetables and drinks), the choice becomes pretty obvious. You just need to learn to how to do it. So let me help you with that! Who says good quality food has to be expensive? And same for that sauerkraut pounder! I’ve seen some fancy schmancy sauerkraut pounding tools for around $30 but the one I used in the video is less than $10 on Amazon.